Our Executive team brings together outstanding management and technical personnel with over 150 man-years of experience. Our managers have founded numerous successful companies and have designed, developed and supported products in use on a worldwide basis. Our technical personnel have designed, developed and managed online real time voice and data communication products in use worldwide, servicing millions of users. Control system experience is a common element for the entire team. Such experience includes wireless home systems, wireless paging & text messaging systems, factory automation, satellite control systems, wide-area data distribution systems, voice mail and telephone answering products, Internet Gateways, cellular switching equipment and many more. Jay is a hands-on executive with over 35 years of experience in the communications industry with a focus on wireless communications for more than two thirds of that period. Mr. Moskowitz founded SPD Control Systems after many years of following the development activities of Research Frontiers, the developer and licensor of SPD light-control technology. Mr. Moskowitz is President and CEO of Wireless Marvels Inc. (WMI), an R&D Company that designs and creates specialized wireless products and applications as well as the infrastructure that supports real time communication systems. It’s first product, FORE! FM™ was an FM Radio built into a golf ball designed for the US Golf Open. Another product, Soft-Stop™, was a Web-based financial service of WMI. From May 2001 – 2002 Mr. Moskowitz was president of ON Networks Inc., a ten plus person company that utilized Radio Paging Technology to create intelligent consumer products for the home. Mr. Moskowitz was the founder, President, CEO and CTO of RTS Wireless, an infrastructure manufacturer that designed and developed highly redundant and scaleable communication systems that ran at the heart of Radio Paging, Cellular and PCS networks. After 13 years of operations, RTS Wireless was sold to Aether Systems in December 2000 for over $111M. Prior to starting RTS, Mr. Moskowitz was SVP of Engineering for Spectrum Communications and Electronics (SCE), a manufacturer of Radio Paging, Voice Mail, Telephone Answering and Cellular Mobile Telephone Switching equipment among other products. He left SCE to start RTS after an unsuccessful attempt to acquire the company (it was sold to Ericsson Communications a year later). Mr. Moskowitz was also President of RTS Electronics Inc. where he designed, developed and patented (5,249,220) the first special purpose PDA specifically for sending messages to fax machines and pagers, a product that was listed for many years in the Guinness Book of Records as the world's smallest fax machine. For the 17 years prior to joining SCE, Mr. Moskowitz was a senior designer, developer and consultant in the development of software intensive communication and real time systems. Among his clients were ITT Domestic Transmission Systems, Xerox-XTEN, Western Union International, MCI and Citibank. He was formerly with Graphic Scanning Corporation where he designed the Graphnet store-and-forward facsimile-messaging network among several other major communication products operated by the company. He was President of Intersystem Software where he developed and marketed TICKERTEC™, a successful real time stock market quotation and analysis system installed in more than 30 states and Canada. In addition, Mr. Moskowitz was a system designer to NASA in the development of the SKYLAB space station simulator used to train astronauts. He holds a BS degree in Physics from The Cooper Union, is a senior member of the IEEE and ACM, created several protocols used to enable Wireless Instant Messaging systems for AOL and Motorola products, was the creator of the TCP/IP XML based paging/PCS Wireless Communications Transfer Protocol (WCTP) protocol, Chairman of the Personal Communications Industry Association (PCIA) Telocator Network Paging Protocol (TNPP) committee, Chairman of the Alphanumeric Paging Protocol (TAP) committee, Data Paging Protocol (TDP) committee, and the Interswitch Paging Protocol (TIPP) Committee. 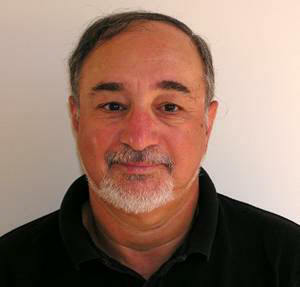 He has been a magazine author and lecturer in the paging industry, represented the United States at the European Messaging Systems (ERMES) Committee meetings in Barcelona, and is a co-author of The Comprehensive Guide to Paging published by BIA Publications Inc.
Mr. John Petraglia has been in the system development industry for over 35 years. 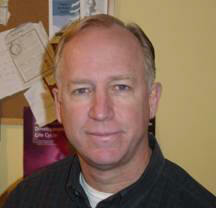 He has been President of Programming Concepts Inc. (PCI) for 22 years. John has a B.S. in Computer Science from New York Institute of Technology and is a member of the IEEE and ACM (LI Chapter past-chair). He is also a member of the IEEE committee 855, Microcomputer Operating System Interface (MOSI) standard. PCI has been in business for 26 years, providing high technology software and systems development and products. The company specializes in Web enabled applications: Microsoft and Unix platforms, process and network control systems, telephony systems (IVR, CTI), real time financial information systems, wireless control systems and complex database systems (MS-SQL, Oracle, Sybase, Ingres). PCI was selected as one of Long Island's "Top Ten" Fastest Growing Software Companies by the Long Island Software & Technology Network (LISTnet) at the 1999 LI Software Award's (LISA) dinner. 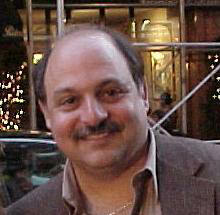 Mr. Petraglia has management, sales, and technical responsibilities. Project responsibilities include customer liaison, requirements analysis, system design, and project management. John is also responsible for all marketing and sales activities and web site development for all products (IVR, SmartList, ABLE, Visual Sales Management, webVRS). Refer the PCI site for details: (www.programmingconcepts.com). PCI has had hundreds of customers over the years with predominantly large-scale organizations (e.g. Reuters, FAA, NASDAQ, Nortel, Symbol Technology, FAA, Grumman, Hazeltine Corp., Parker Electronics, Morgan Stanley, The US Army, Paine Webber, British Airways, Philippine Long Distance Telephone Company, and many more). Mr. Julius Salud has had an outstanding International career as an innovator in Corporate Strategy and Planning for over 20 years as well as product marketing and support on a worldwide basis. He has extensive experience in International Operations and Administration, Process Simplification, Management in large organizations and managing Multicultural Diversity. He is multilingual, speaking English, Spanish and Tagalog. Julius has a Master's Degree from Pepperdine University where he is also the Presidential/Key Executive of the MBA Program for Senior Managers. Julius’s skills include international operations, finance, and marketing in high technology companies (HP and Sun) as well as in the biotech industry (Chiron). He has led major reorganization projects for Sun, saving millions of dollars while improving performance. Julius has setup and managed major call centers in the US with more than 200 people under his responsibility. He was a member of a small team of senior directors who designed, developed and launched worldwide sales of Chiron's Blood Testing products in record time. More recently, Julius launched eBloodBank.com in six languages to become a dominant portal in that industry. Mr. Salud was Sr. Director of eBloodBank.com and World Wide Operations of Chiron Corporation, managing the unit's worldwide administration and operations and was Sr. Director of Business Operations. Julius was responsible for the simplification and the restructuring of the worldwide supply chain for the different business units. Julius was Project Leader of the Blood Testing products Software Development Team which had to pass rigid testing for FDA approvals. Julius was Director of Operations and eCommerce at Autodesk Corporation, developers of the worlds leading architectural design program AutoCAD. He was responsible for planning and implementation of the company's eCommerce and Shared Services long term strategies. Mr. Salud organized the planning and implementation teams involving 100 employees at the Center and 600 dealers in North America. Mr. Salud was Director of Customer Administration and Call Center Operations for North America for Sun Microsystems Corporation. He created and implemented Sun's first Customer Satisfaction Teams and the first Customer Transaction/Call Centers in the US and Europe. The US Center has more than 200 people with 11 managers reporting to Julius. His team reduced Sun's Account Receivable from 75 days to 29 days and improved Sun's cash position by more than 500%. The team also improved the total cycle time from Order to Shipment by more than 60% and created decision tools and process improvements with combined savings of more than 75 million dollars. His other Managerial Positions included moving from Credit Supervisor to Corporate Credit Leasing Manager at HP Corporation and from Corporate Credit Manager to Corporate Asset Manager at Amdahl Corporation. Mr. Peter Solaski has over 25 years experience in information technology. Most recently he was SVP of Fixed Income Databases for Reuters America Inc. He holds a B.S. in Computer Science from the State University of New York at Stony Brook. He has executive management training from the University of Michigan, Ross School of Business. He is also a member of the ACM. Mr. Solaski was responsible for the leadership, teambuilding, product development and strategic guidance for a number of key product areas for Reuters. In the areas of Fixed Income Trading, Retail Equities and Reuters New Media he drove architectural vision and technology innovation for new products. Mr. Solaski provided the supportive environment to enable the successful introduction of XML/XSL, ActiveX and Content Syndication technologies in these product areas. He provided the long term technology vision and direction required to achieve the resulting major successes. Peter has held a number of senior technical management positions at Reuters. Reuters is the world's largest international multimedia news agency, supplying news, content, pricing, analysis, trading, and messaging capabilities to media and financial services organizations worldwide. In these roles he had direct responsibility for parts of a global technical infrastructure for the collection, processing and distribution of financial information and news. These large scale, high performance networks were comprised of both custom and off the shelf systems using a wide range of technologies. He was also responsible for the development and support of a number of financial information products including Reuters Datascope, a reference data and pricing feed, and Fixed Income Views a web-based product for display of bond data. During his tenure at Reuters Peter also worked in support of acquisition activities. He worked directly on the acquisition by Reuters of American Realtime Inc., Quotron Inc., Bridge Information Systems and Multex Inc. His responsibilities included technical due diligence, architecture and design for infrastructure integration and overall program management for integration projects. As Director, Head of North American Real-time Data, Peter directed a staff of 65 responsible for the development and support of North American Quotations systems and News systems. He managed the development of Small Dish Satellite distribution products. He had overall technical responsibility for time critical, high availability systems, which processed 50+ separate feeds from financial exchanges and brokers in the U.S., Canada and South America for distribution to Reuters customers worldwide. As part of his management responsibilities Peter was responsible for the coordination of several, large, international technical projects. Mr. Solaski led multiple analysis and technical integration projects with development teams in London, St Louis, and Hauppauge, to reduce duplication in the overall Reuters infrastructure. Restructured Reuters Global Fixed Income database development teams in the U.S. to eliminate duplication. He relocated product development and support functions to Bangkok, Thailand. Prior to joining Reuters Peter was a development manager with Industrial Programming Inc. specializing in real-time embedded systems. Mr. Lipsky is President and Chief Executive Officer of Franklin Electronic Publishers, Inc. of Burlington, New Jersey, an American Stock Exchange listed company (“FEP”), and is a member of Franklin Electronic Publishers’ Board of Directors. Franklin Electronic Publishers is a well known manufacturer and distributor of low-cost electronic handheld devices including organizers, spell checkers, dictionaries, language translators and electronic book products that are sold on a worldwide basis. Mr. Lipsky’s expertise is in the area of developing and manufacturing consumer electronic products in Pacific Rim countries to meet popular price points through mass retailing channels in the United States. Mr. Lipsky has been with Franklin for eighteen years and is a member of its Board of Directors. He joined the Company as Vice President in February 1985, was elected Executive Vice President in 1997 and was named President and Chief Executive Officer of the Company in July 1999. Mr. Lipsky has been a Director or Managing Director of the Company’s Hong Kong subsidiary since its inception in 1985. Mr. Lipsky’s expertise is in the area of developing and manufacturing consumer electronic products in Pacific Rim countries to meet popular price points through mass retailing channels in the United States. His business and technology background began with a thirteen-year tenure with Mura Corporation of Hicksville, New York, a designer and importer of consumer electronics products. Mr. Lipsky handled a variety of technical matters at Mura, including product development and product procurement, and rose to the position of Vice President of Operations. While at Mura, Mr. Lipsky’s development and manufacturing expertise was forged with the development of the first mini headphone system for use in home high fidelity audio systems and in developing and manufacturing a line of personal portable AM/FM radio products, which was the forerunner to Sony’s popular Walkman series of products. Additionally, Mr. Lipsky’s expertise at Mura included the development and manufacturing of the world’s first cordless telephone targeted to sell at retail at prices under $100. Coming to Franklin in 1985 with across the board experience in producing state of the art electronic products in Asia, Mr. Lipsky took on the project of producing the ACE 2000 personal computer, an Apple compatible model that was manufactured by Multitech Electronics (later known as Acer) in Taiwan. Prior to that initiative, Franklin’s personal computers were manufactured only domestically. With the success of the Ace 2000, Mr. Lipsky’s knowledge at “virtual manufacturing” abroad became critical to Franklin’s launching the ACE 500, a lower priced Apple compatible manufactured by Samsung Electronics in Korea, and the PC 8000 in a cooperative effort also with Multitech Corporation. The PC 8000 was the first IBM compatible computer to be sold at mass merchandisers in the United States. Franklin was the first company to offer both IBM compatible and Apple compatible computers to the domestic mass market at prices less than $1,000 through Sears. Additionally, under Mr. Lipsky’s guidance, Franklin provided retailers with the first computer monitors that were both IBM and Apple compatible. As Franklin evolved from a desktop personal computer company to the inventor of the Electronic Book (the eBookman series of products), Mr. Lipsky’s expertise in low cost Asian manufacturing became even more important. Mr. Lipsky directed the enterprise’s efforts in pioneering “chip on board (COB)” manufacturing techniques for hand-held electronic books, organizers, and other consumer products. In 1995, Mr. Lipsky was presented with the “Outstanding Contribution” awarded by LG Semicon Co., Ltd., formerly known as Goldstar. Mr. Lipsky attended New York Institute of Technology. Mr. Heins is President, Founder and principal architect for wholly owned and operated architectural firm with over 3,400 completed commissions. Key projects and expertise follows. Design and manufacture of structural skylight systems, ceramic tile design and manufacture, furniture design and manufacture, monumental mosque door design and manufacture, monumental mosque lighting fixtures, design of elementary and high school facilities. The complexities of today’s business environment require leadership with a steady hand, and an experienced team who know how to work together. Gunster’s lawyers work within fourteen networked practices linked across eight offices around the state. This strategy magnifies the depth and scope of the knowledge, perspective and level of performance we provide to our clients with business interests in Florida. One of Florida’s oldest and most respected full-service law firms, we have distinguished ourselves for our ability to handle the most complex of transactions to the greatest advantage for our clients. Mr. Dougherty has over 24 years of experience in consumer electronics manufacturing, quality control and cost reduction engineering. He has developed and lead international cross functional teams in South East Asia, the US, and Europe, with particularly strong expertise in business development, strategic sourcing, performance and cost management. He has a successful track record developing lasting and effective global supplier relationships and bringing high quality products to market with keen attention to overall cost, product quality and customer expectations that show in bottom line results. Mr. Dougherty was with Franklin Electronic Publishers, Inc. for 22 years as the Director of QA, VP of Worldwide Operations, and the VP of Worldwide Supply Chain.